The Arab Israeli war defines the Middle East conflict and much of world politics – and Jerusalem lies at the heart of it. It is in fact a fairly recent conflict. Jews have lived in Jerusalem continuously ever since King David made it his capital city. 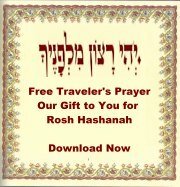 Except for a few brief periods when they were forbidden to live there, Jews have been in Jerusalem for over 3000 years. Jerusalem has been the capital of not one, but several Jewish states, including the State of Israel. With the Muslim invasions throughout the centuries, an Arab population settled alongside the Jewish one, but Jerusalem was never more than a backwater town under Muslim rule – it was never the capital of an Arab state. In the 15th century, with the expulsion of the Jews from Spain, the Jewish population of Jerusalem began increasing steadily. By 1840, the Jews formed the largest single community in diverse mix of Jerusalem inhabitants, and since 1870, they have formed the majority of Jerusalem’s population. Throughout this period, Jews and Arabs lived together fairly harmoniously. In 1917, Britain issued the Balfour Declaration, in which it declared that “it views with favor the establishment in Palestine of a national home for the Jewish people. Following World War I, the League of Nations awarded Britain Palestine with the mandate of fostering the formation of a Jewish national home. However, Britain instead did its best to subvert this mandate. It instituted policies designed to cause friction between the Arab and Jewish populations, and foment discord. 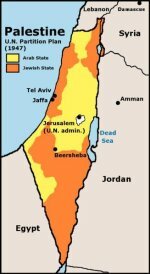 Moreover, Winston Churchill gave the majority of the territory of Palestine, which was to have been the Jewish national home, as a gift to the Hashemite family. The Hashemite family installed itself as Kings of Jordan. Taking a cue from British attitudes, Arab violence against Jews surged, with frequent pogroms in the streets of Jerusalem. The British appointed Haj Amin al Husseini Grand Mufti of Jerusalem. Husseini orchestrated more violent attacks and worked to suppress Jewish religious and political rights. He was a vocal supporter of Hitler and the Nazis. The Jews accepted the UN vote, but the Arab world did not. From the day of the vote until April 1948, Arabs attacked Jews all over the country, killing almost 300 people in the Jerusalem area, and imposed a siege on Jerusalem, cutting off the delivery of all food, water and medical supplies. 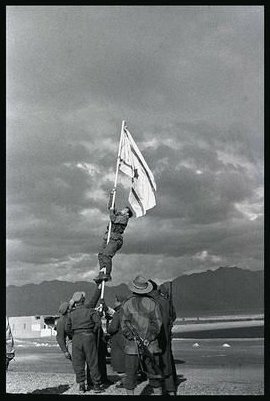 Britain forfeited its mandate and left on May 15, 1948 and the first Arab Israeli war began. 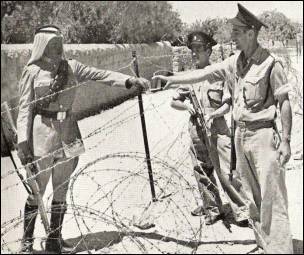 Three Arab countries simultaneously invaded the fledgling State of Israel. In a heroic bid to save Jerusalem, Israeli forces worked at night to break the Arab stranglehold on Jerusalem. Armed convoys were ambushed and destroyed. Unwilling to surrender Jerusalem, they build an alternate path, code named "the Burma road", through the mountains surrounding Jerusalem. In this way, they were able to bring food, water and medical supplies to the starving population of Jerusalem. (The fascinating story of the Burma Road can be found in the definitive history of the Battle for Jerusalem - O Jerusalem! During the war, Jordanian forces overtook the Old City and expelled all the Jews from the area. In April 1949, Jordan and Israel signed an armistice agreement, and Jerusalem was divided for the first time in its history. For the next 19 years, the cease-fire line between Jordan and Israel became a minefield of barbed wire running jagged like a scar through the heart of Jerusalem. The Jordanians systematically disregarded their obligations under the Armistice agreement: they refused to allow Jews or Christians access to Holy places, denied Jewish access to Mt. Scopus or Hadassah hospital, destroyed the synagogues and homes in the Old City and desecrated the cemetery on the Mt. of Olives. 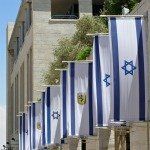 They neglected eastern Jerusalem and let public services to the Arab population decay. They frequently used the ramparts of the Old City to shoot at the Jewish population below. In June 1967, Israel begged Jordan to maintain the cease-fire. Jordan refused and attacked Israel, launching the second Arab Israeli war. At the conclusion of the Six Day war, Jerusalem was once more united. , by Joan Peters. A former adviser to the Carter administration and a trustee of the National Committee on American Foreign Policy, Peters' research into the cause of the Arab Israeli war led to a conclusion far different from what she had anticipated. I've mentioned it above already, but one of the most readable histories of the establishment of the State of Israel and the Battle for Jerusalem, O Jerusalem! by Larry Collins and Dominique Lapierre, reads like a thriller. It's a hard to put down, page-turning tale, and it's all true. One of my favorites to read over and over. , edited by Walter Laqueur, is an invaluable resource. It compiles almost every document important to the creation of Israel and the Palestinian conflict you could imagine, on both sides of the issue. No where else could most of us get close to the original sources.